Yes, yes yes. Yes. YES. YES! YES!!! Creed! The perfect spinoff to one of the best movie series of all time! 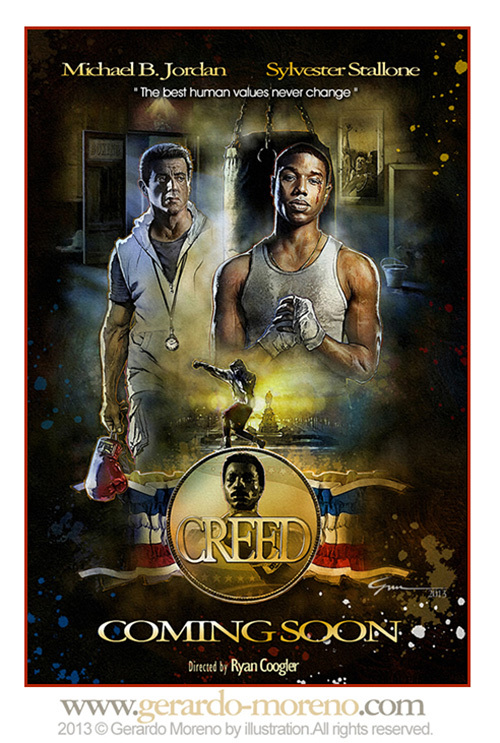 Creed follows Adonis Creed, the son of the late great Apollo Creed, with Rocky training him. Yes! This trailer gets you pumped as much as a famous Rocky montage does! Micheal B Jordan plays Creed and the best part about this movie is it looks like HE is the main character, Rocky is in it and plays a major role, but this movie does not appear to focus on him. The song is perfect, the lines are great. Rocky is punching a speed bag with Creed! I feel like this will do the series justice while being a great movie on its own, even if the famous Rocky’s didn’t exist. I can almost not put in words the amount of energy in this trailer. I will definitely be catching the first showing of this.